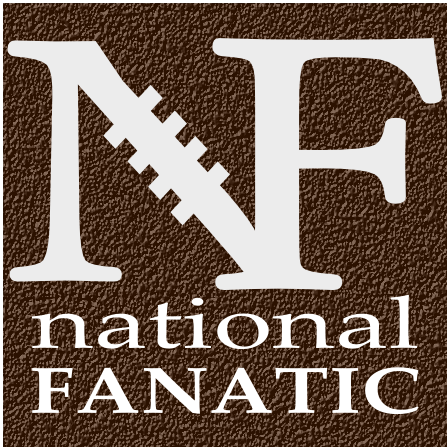 Finally, NFL football fans get their first full week of NFL football this week. Thursday night football was full of ups and downs. Sunday morning football was very impressive, especially with the Seahawks loss to the Rams. But the Chargers afternoon football game was the pride of the day and the game to watch (better than the Eagles loss or the 49ers win Monday Nighters). The second half had a completely different feel and vibe. 30 unanswered points from the San Diego Chargers offense was amazing to witness, including 20 straight completions by Philip Rivers, even without suspended #1 pass catcher Antonio Gates. 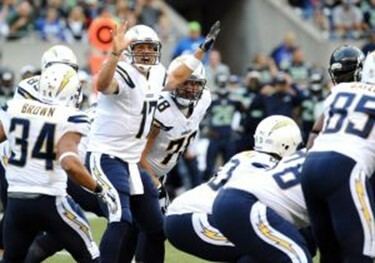 The Chargers offense was clicking with a mix of all their weapons, and yet was not even set to its maximum potential. Watching Danny Woodhead and Melvin Gordon creep into their standard places (and into rushing rookie stardom) was a view to watch. Woodhead was missing for most of last season and shined with 2 touchdowns (who was miserably missed by SD in 2014). Gordon had a few nice moments, most importantly was the 360 degree spin TD run he had, that was called down prematurely from an unapparent “down by wrist” call. Brandon Oliver had a significant gain as well, showing that the Chargers have very good depth at the running back position this year (with a nice three headed RB monster). San Diego receivers were quite special as well. Keenan Allen had a monster career game, tying a franchise record with receptions by a Charger (tying SD icon TE Kellen Winslow with 15 completions). Newbie Stevie Johnson chose the correct place to resurrect his career, as Rivers targeted Stevie a lot had a TD. As much as Rivers shined in the final two quarters, Allen was the diamond of the game, that looked like a top 5 NFL WR1. Tight End LaDarius Green has been expected to turn it up in 2014, and he finally did on Sunday, with numbers similar to Johnson numbers (and TD’s all around). The Chargers Defense had its moments to shine as well. Pass Rusher Melvin Ingram did very well as San Diego top outside pass rusher. Manti Te’o and Donald Butler did very average on the inside, but what surprised everyone was ROOKIE, North Dakota State, 5th Round Outside Linebacker Kyle Emanuel. Emanuel had a sack, interception, two tackles for a loss and a QB pressure that led to a Matthew Stafford interception. Emanuel looks like a Clay Matthews clone (minus the hair and pedigree). The Chargers Defensive line didn’t make too much of an impact of the game, but they are usually the unsung heroes of a 3-4 D. Defensive leader Liuget showed up on many plays. San Diego’s Secondary was either the best of the best (or the forgotten legends). Super Charger Eric Weddle had one mistake (that anyone would have made) with a TD allowance. Weddle’s final play of the game was the icing on the cake. Jason Verett, Brandon Flowers and Patrick Robinson all shinned, shutting down dynamic tandem Calvin Johnson and Golden Tate to 61 total yards (on 6 total receptions) was an A++ (which was EPIC)! Overall: Great game and Philip Rivers (with Allen and Woodhead) are again San Diegos premier players, just like in 2013. Melvin Ingram might turn into the next big NFL pass rusher. Posted on September 16, 2015, in NFL. Bookmark the permalink. Leave a comment.